This month we have a beautiful chronology of the Canadian travel company Butterfield & Robinson, and an historical epic set in early 20th century Europe. For half a century, the Canadian travel company Butterfield & Robinson has been turning travellers onto the joy of experiencing the world by bicycle and on foot. Slowing Down to See the World celebrates B & R’s fiftieth anniversary with a stunning, fully-illustrated chronology of their remarkable entrepreneurial journey. Spurred by creativity and fueled by fun, this is the story of visionary leaders who bucked the traditional focus on the bottom line, and pursued an unwavering (and at times unusual) commitment to trip quality and traveller satisfaction. 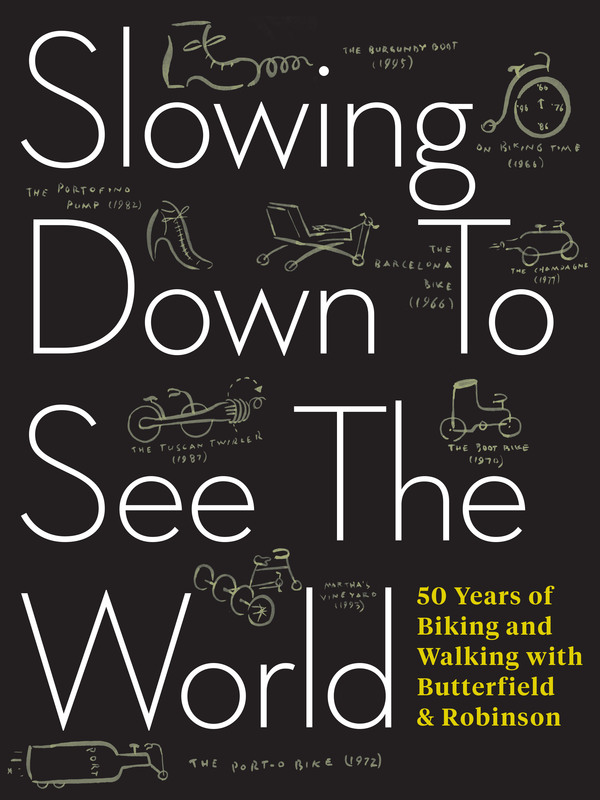 In the course of simply doing their own thing, Butterfield & Robinson pioneered luxury active travel, established an internationally recognized brand, and brought scores of people into their community. For the initiated, Slowing Down to See the World is a ride down memory lane. For the uninitiated, it’s a primer on how to live a good life. And for everyone, it’s a reminder that work doesn’t really feel like work when you’re surrounded by inspiring and energetic people. Billy Lange is born in 1909 on the Isle of Wight, England, where his father is the skipper of a racing yacht belonging to a wealthy German-Jewish baron. As a child, Billy is entranced by the baron’s daughter, the elusive and willful Karin von Weinbrenner. After the First World War, Karin and Billy are reunited on the baron’s Frankfurt estate, where they bond over their fascination with the Wild West novels of Karl May, the most popular author in the German language. Over the years, Billy and Karin’s childhood friendship deepens and transforms into a complex love affair with extraordinarily high stakes. Coming of age in Frankfurt and Berlin, Billy and Karin share a passion for speed, jazz, and nightclubs. As society loses its moral bearings and Germany marches toward the Second World War, they also share a dream of escape — from Germany, from history — to El Llano Estacado, May’s richly imagined New Mexico landscape. An intriguing cast of characters braid this harrowing story together, transporting the reader from a golden Edwardian summer on the Isle of Wight, to London under Zeppelin attack, to Ireland on the brink of its War of Independence, and at last to Germany during the darkening Weimar period. 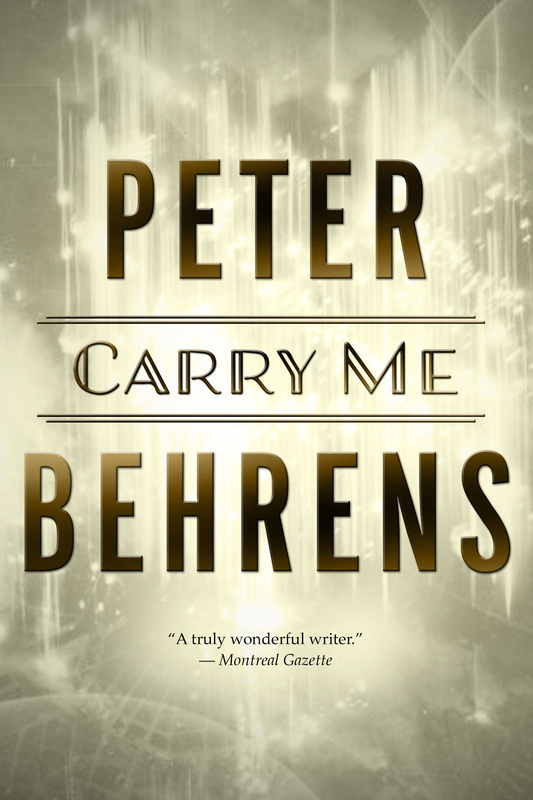 Brilliantly conceived, deeply researched, and profoundly moving, Carry Me is an unusual love story, an historical epic, and a lucid meditation on Europe’s violent twentieth century.